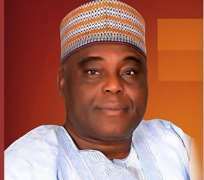 The Founder of Daar communications, Raymond Dokpesi, has been arrested at Nnamdi Azikiwe Airport, Abuja. Breaking: Chief Raymond Dokpesi has been arrested at Nnamdi Azikiwe Airport on return from medical treatment /operation at the American Hospital Dubai. Reasons have not been given yet for the arrest.